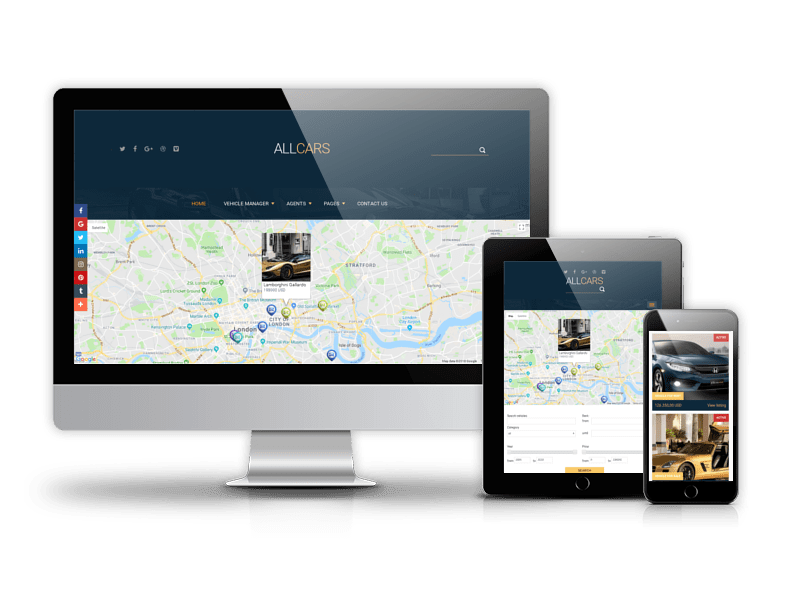 Want to create a modern website for automotive business and present your luxury limousines in the best possible way? We know how to do it! 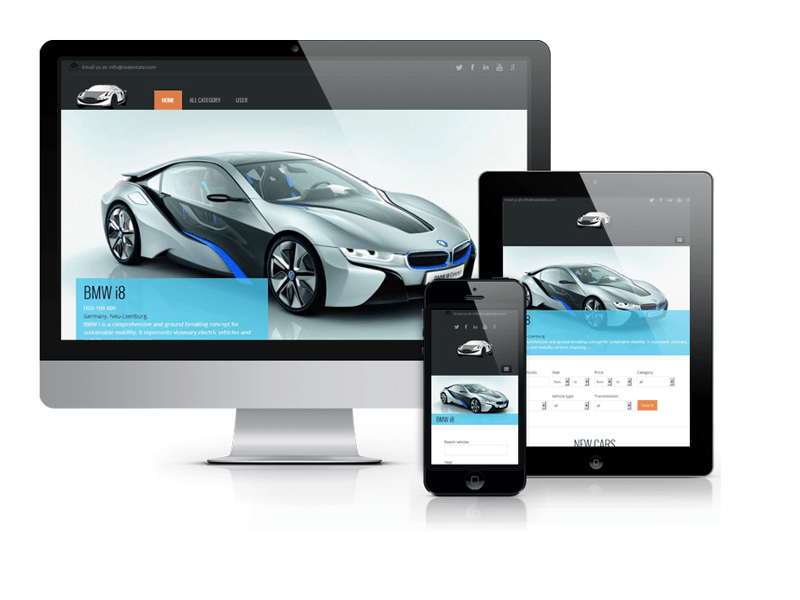 Meet our responsive and stunning limo website template Luxury car rental. 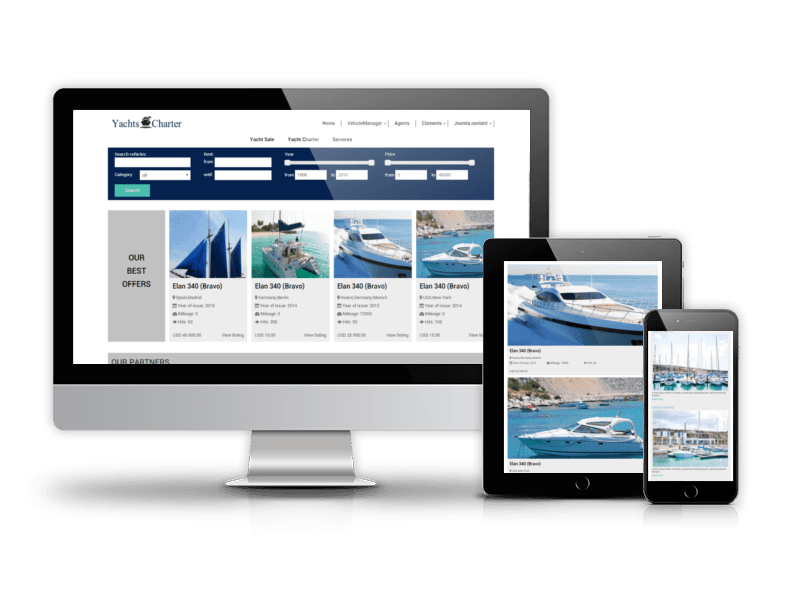 It has everything you need to start luxury car business online. 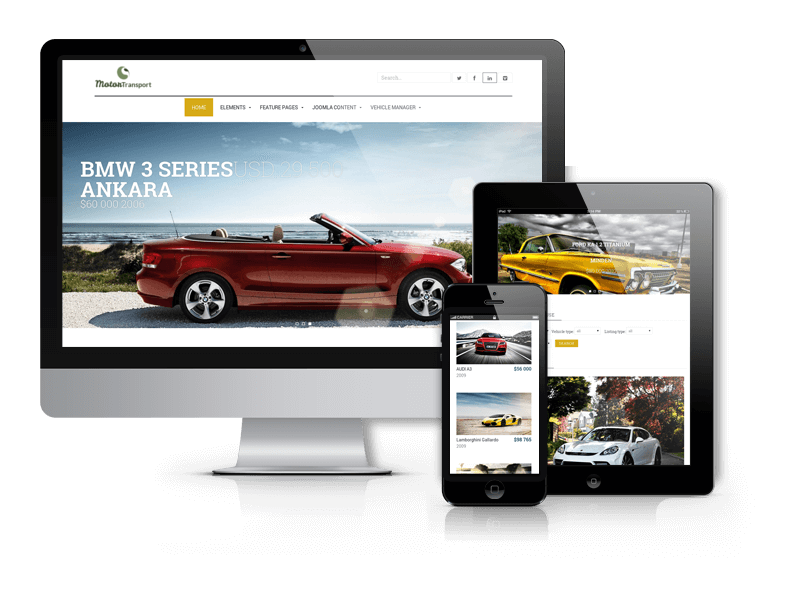 Responsive design of Luxury car rental Joomla template allows browsing website from different devices - from mobiles to desktop computers. Positive user experience is guaranteed. Home page is featured a large beautiful slideshow and search module placed on the top of slideshow. Also on the home page there are agent section, latest from the blog, random prodcts from the website store and footer with company information. 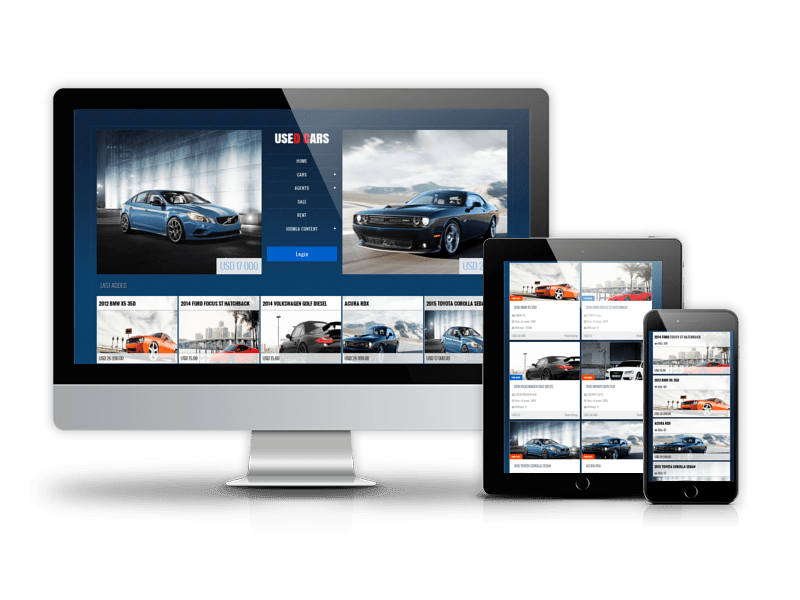 With Vehicle Manager integrated in the Quickstart package, it's easy to rent and sale limousines or other luxury car models, add detailed information about vehicles from frontend area of website, provide a wide abilities for car search, has fronteng control panel for users and administrators. 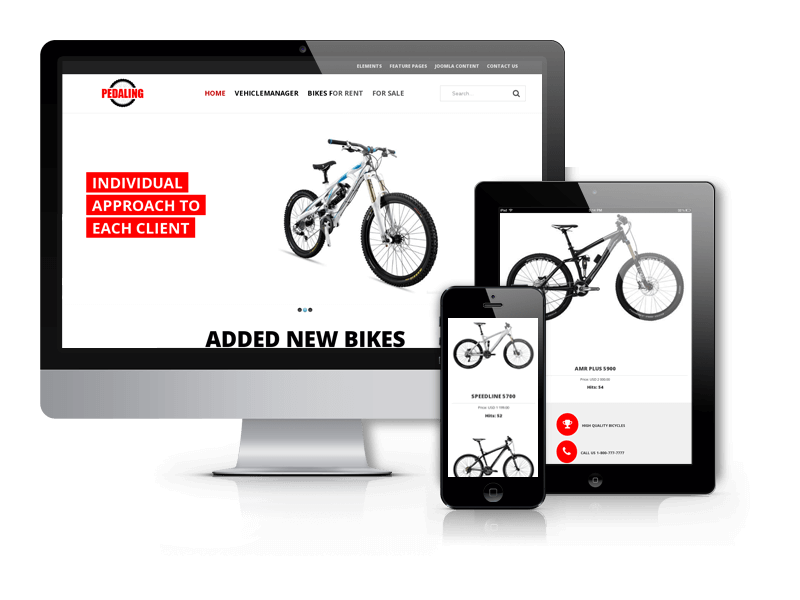 Blank Joomla template enables customizing the appearance of Joomla template via the most useful options like inserting logo, changing fonts using awesome Google fonts and style of links, connection of Google Analytics code and much more. 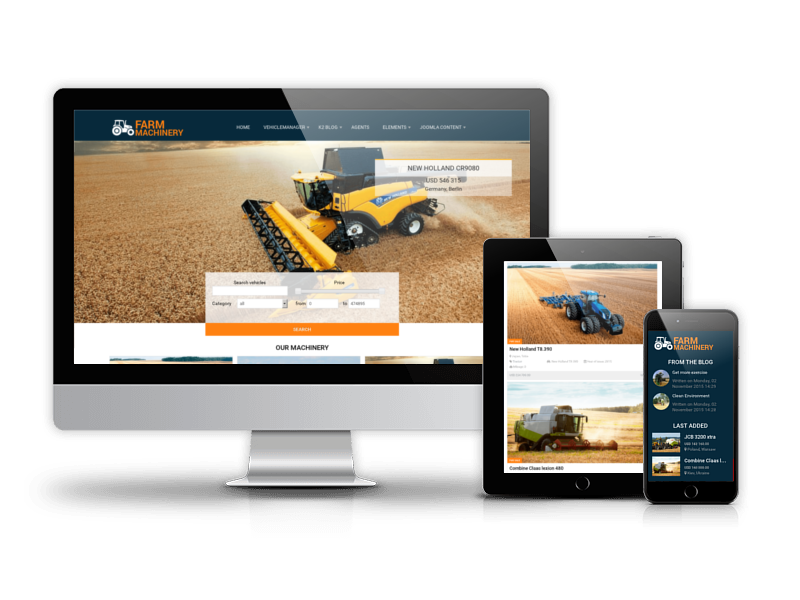 To install all this at once, we've created Quickstart package, where all necessary elements of website is already included - Joomla CMS, extensions and modules, template, sample data. 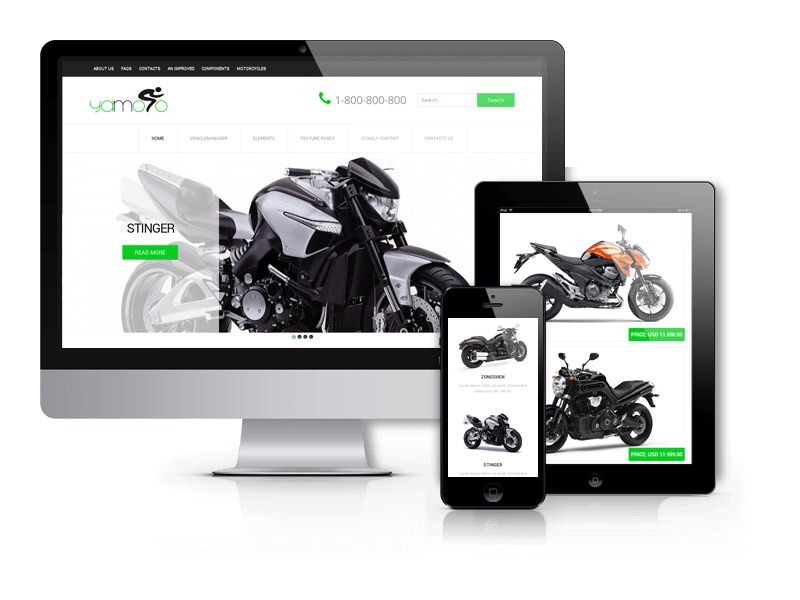 In 5 minutes you'll be able to get the demo website without much efforts. 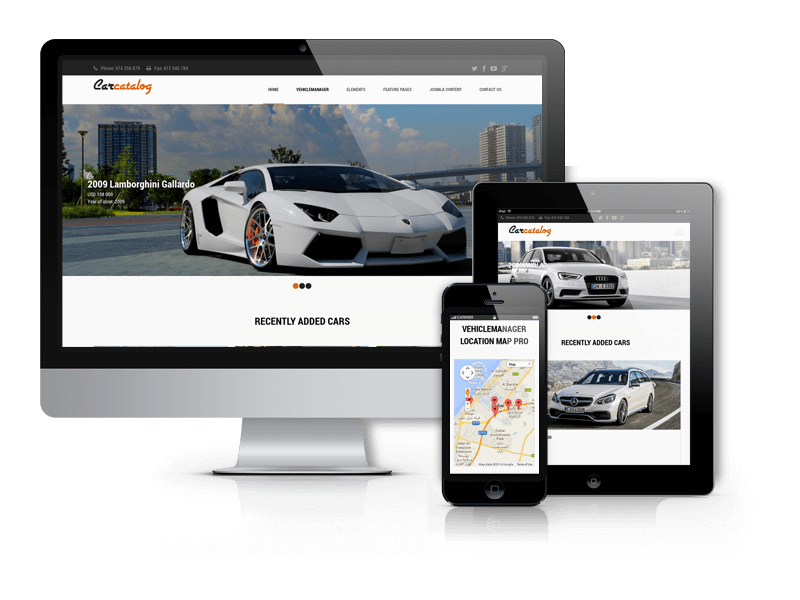 Luxury car rental is Joomla car theme tailored for purposes of car dealership companies, single car agent or dealer, it's definitely a nice choice for luxury car website. 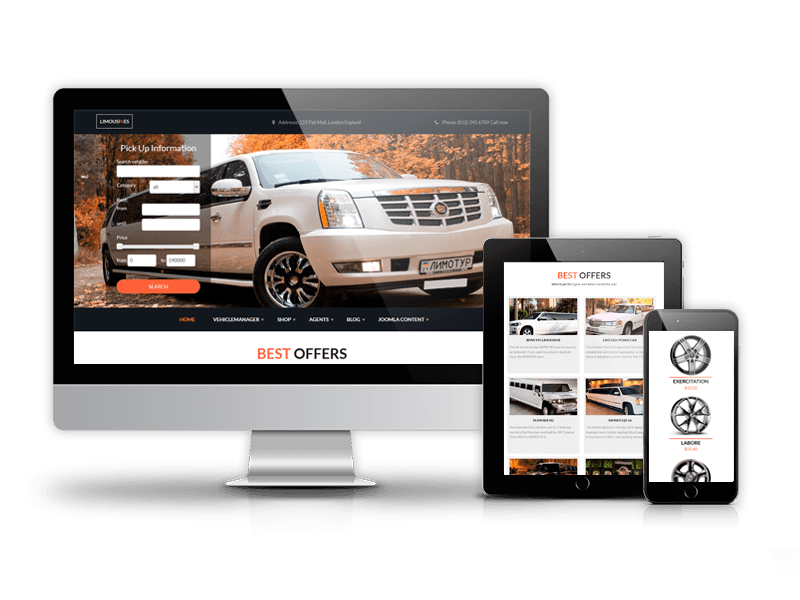 Choose this beatiful automotive Joomla template for your project or view the latest car dealership website templates. 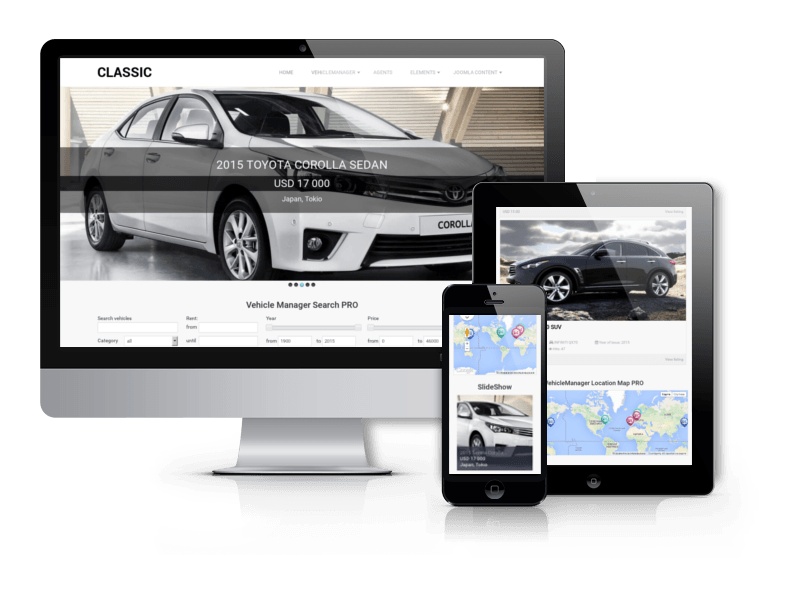 Due to Joomla Blank template, Luxury car rental comes with a wealth of module positions to place your content exactly where you want it. 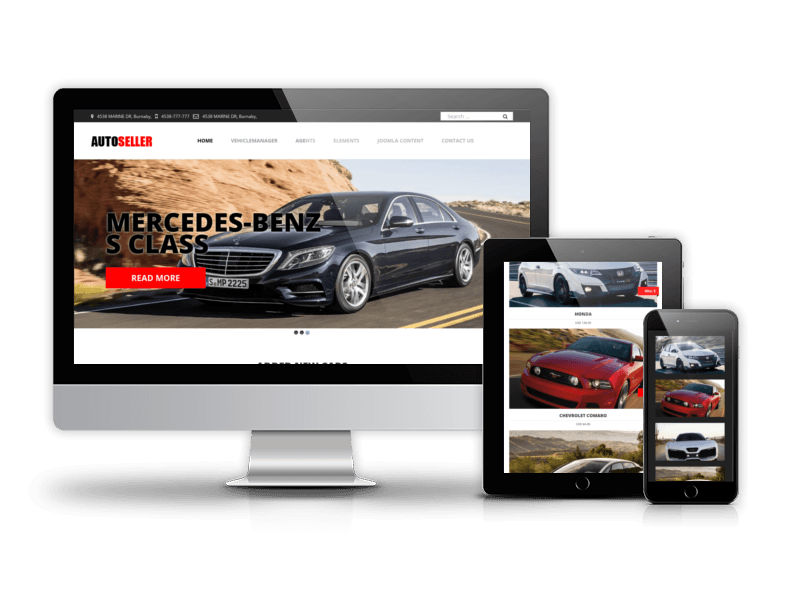 Luxury car rental Joomla template fully compatible with all browsers: Chrome, Firefox, Safari, Opera and Internet Explorer 9+.